The sea off the coast of Shiretoko is covered with drift ice iduring the winter. 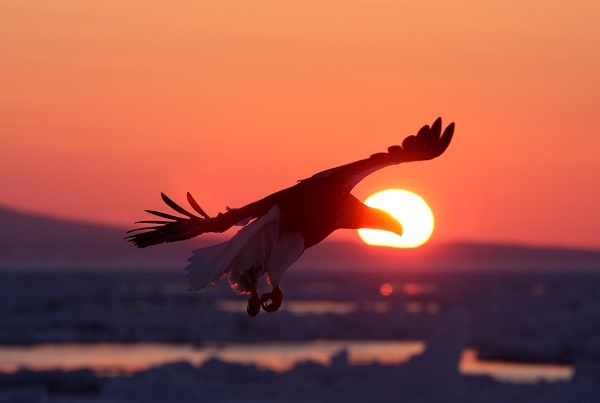 When the drift ice comes, various birds and animals gather here from all over the world. 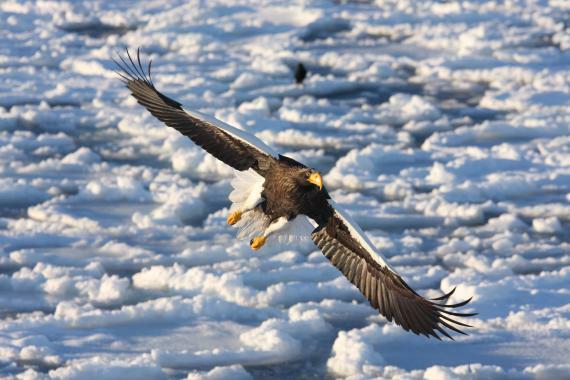 You will have a good chance to see white-tailed sea eagles and Steller's sea eagles on the ice. Let's board the "Evergreen" to experience nature offshore! 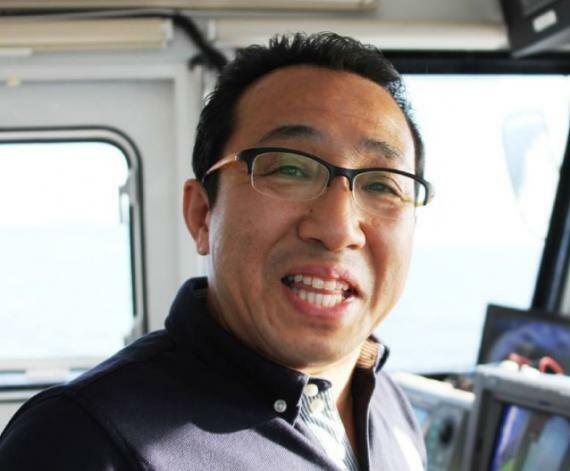 The captain, a former fisherman, will acquaint you with the local people’s life, which includes cod-fishing. During sunrise, you can see a flock of eagles flying over the ocean with Kunashiri Island in the far distance. Sea eagles/Steller's sea eagles with 2-meter wide wingspans. You will encounter them about 90% of the time. The drift ice is home to a diverse number of species. 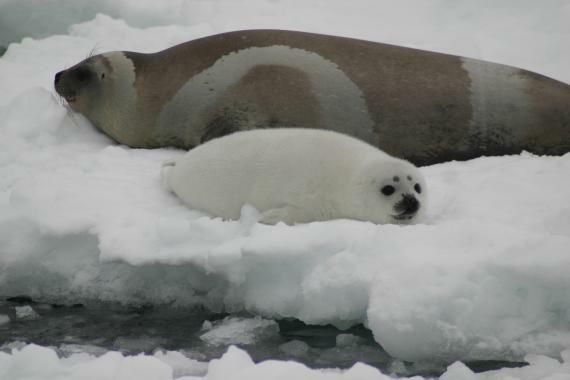 You may spot seals, too. *Sailing time and duration may change depending on weather. 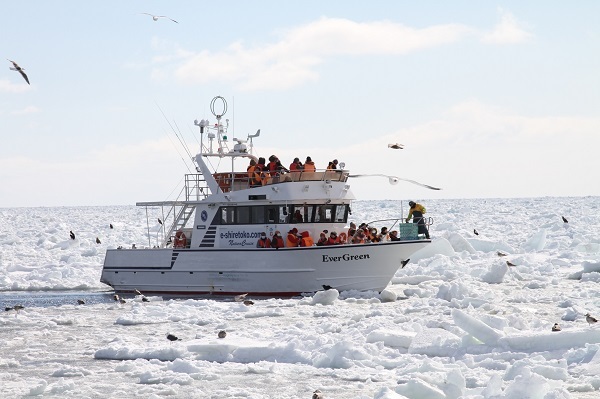 *This tour is recommended for photographers who are interested in drift ice and sea creatures; however, general tourists are also welcome. - Check-in will be at the pier. Please show up 30 minutes before departure time. - Since the schedule may change due to weather, please confirm the sailing time the day before the tour. *Please note that Route 334 (between Rausu and Shari) is closed during the wintertime. No pick up and drop off is available. Cash (yen) only, please pay at the site. -There are 2 different participating fees for adults. Please note that surcharges apply for those bringing SLR cameras and tripods. - The cruiser may be affected by the waves. Be careful when walking around the ship. - Customers sassume full responsibility for damage to their cameras and other personal equipment. This can occur due to water splashing or other reasons. - The course may be changed or cancelled due to weather conditions. - Departure time and duration may also be changed due to sea conditions.